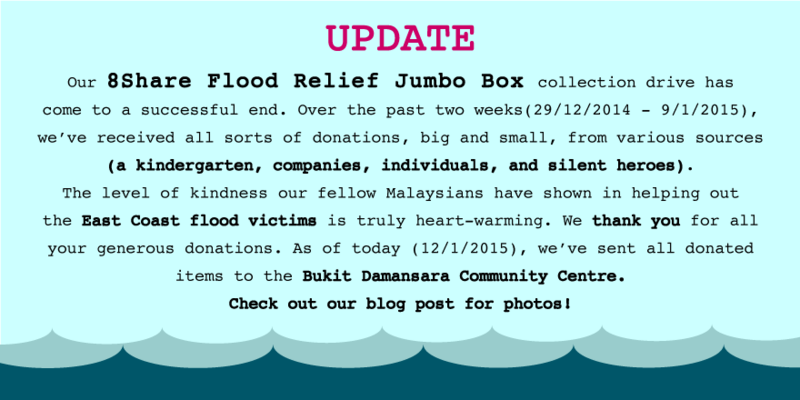 The East Coast has been hit with the worst floods we’ve seen in Malaysia since 1971. According to theSun, more than 100 000 people from Kelantan, Terengganu, Pahang, Perak and Perlis, have been evacuated. 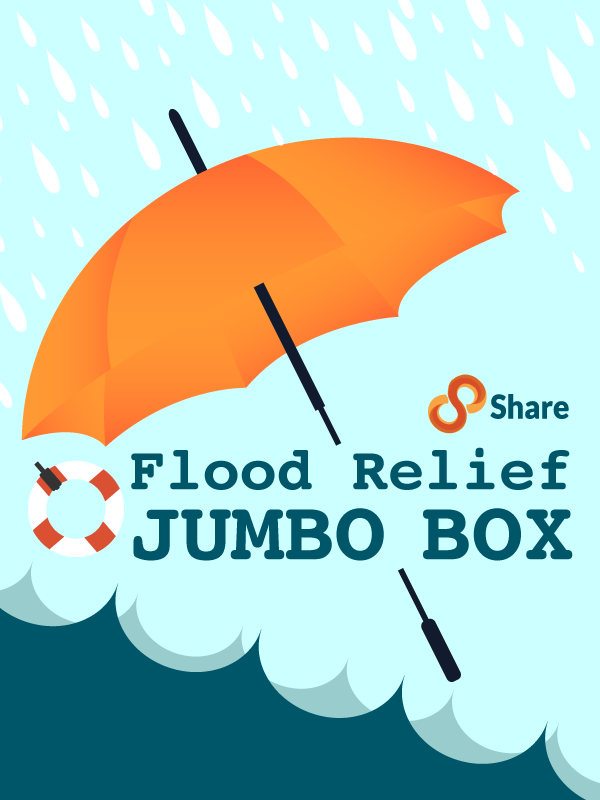 We at 8Share Malaysia, are setting up a Flood Relief Jumbo Box collection drive to lend a helping hand. 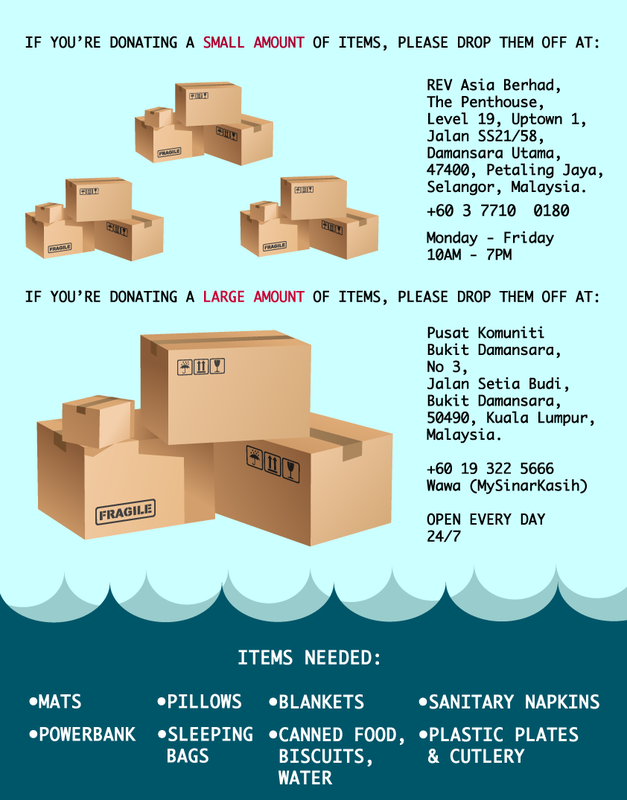 If you have the following items, do drop them off at our office. Remember, big or small, your donation is going to help someone in need. 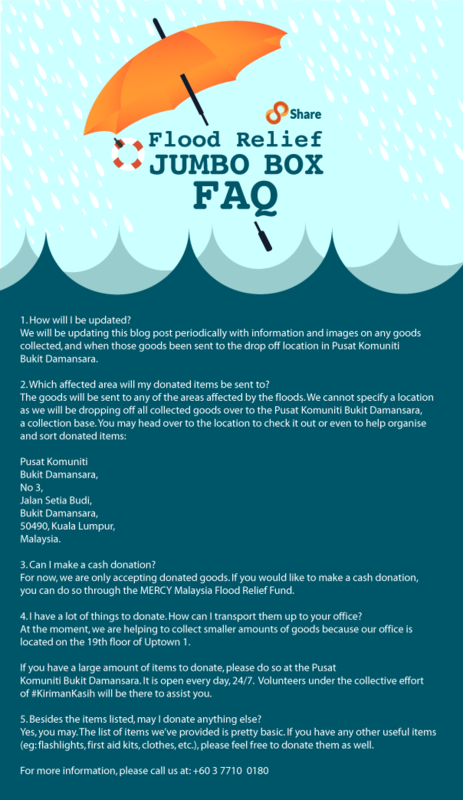 P/S: It’d be great if your items are packed in a box for easy transport. 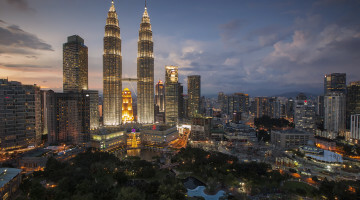 Boyfriend and I will be in KL next week and would like to help however we can. Thank you for your interest! 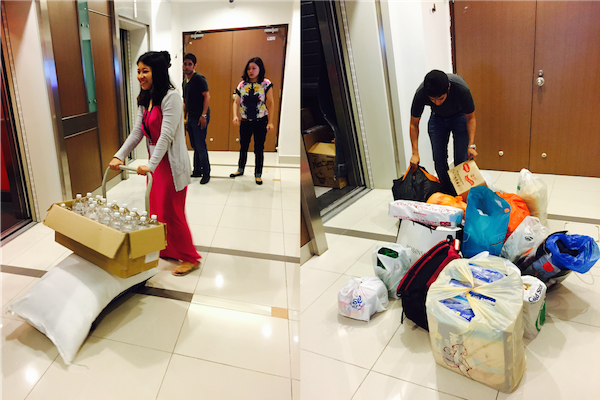 The collection centre is actually an initiative by the collective effort of #KirimanKasih. You can call: +60 19 322 5666 Wawa (MySinarKasih) for more information on volunteering.